Jessica Slaughter lost 120 lbs. by walking miles and miles — around her apartment. 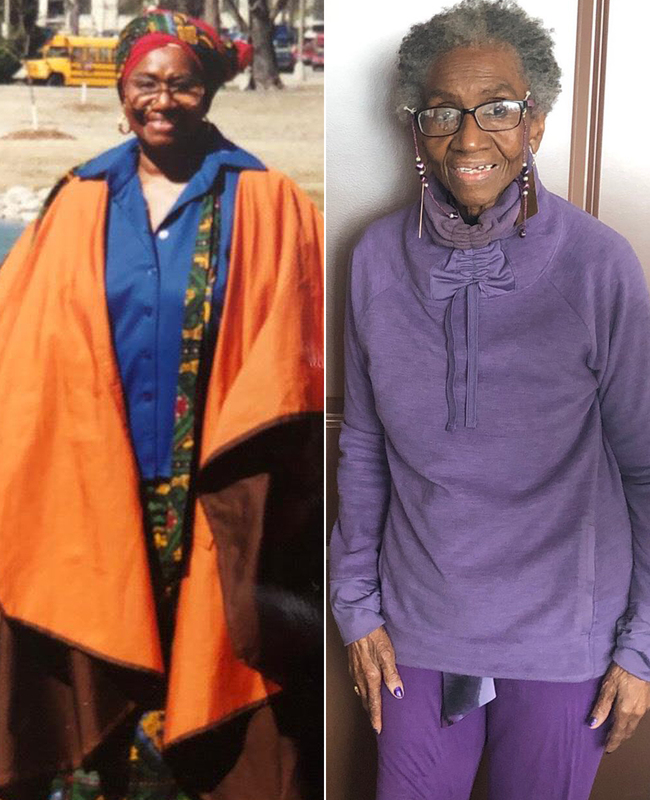 The 86-year-old retired substitute teacher based in St. Louis, Missouri says she started walking in her apartment more than 10 years ago in an effort to lose weight. So every morning she walks at least 3,000 steps within her four walls. That routine, along with adopting a vegan diet, has helped her lose weight she has carried since childhood. Slaughter says as a little girl she was bullied for her weight by classmates — and even her twin brother. RELATED VIDEO: A Retired Kindergarten Teacher Found Inspiration to Lose 159 Lbs. As an adult, Slaughter covered her mirrors with bedspreads because she couldn’t stand looking at her reflection. Slaughter also decided to combine the walking with the Atkins diet. “I knew I could eat all the meat I wanted to,” she says. She successfully lost about 70 lbs. in two years before she plateaued. Although she went from wearing a size 22 dress to a 10/12, she was determined to lose more weight. “I had set a goal,” she says, “I wanted to be a single-digit size.” But how? So in 2007, Slaughter decided to give veganism a shot. These days, breakfast for Slaughter is a fiber-filled cereal, plus grapes, tomatoes, oranges and bananas. She usually skips lunch, and for dinner she has a salad or a wrap. Later she may treat herself to a vegan cookie or a scoop of vegan ice cream. Now a size 4, she has kept the weight off for more than 10 years and hopes her story will inspire other senior citizens to lead healthier lives.